Hi everyone, today we start a brand new developer Series completely focused on the new Divi 3.1 Developers update. Through the Series posts we will see in detail the update changes, we will use the ‘Create Divi Extension’ tool and we will see how to create a custom module that at the end you”ll be able to download from here or from the WordPress directory. 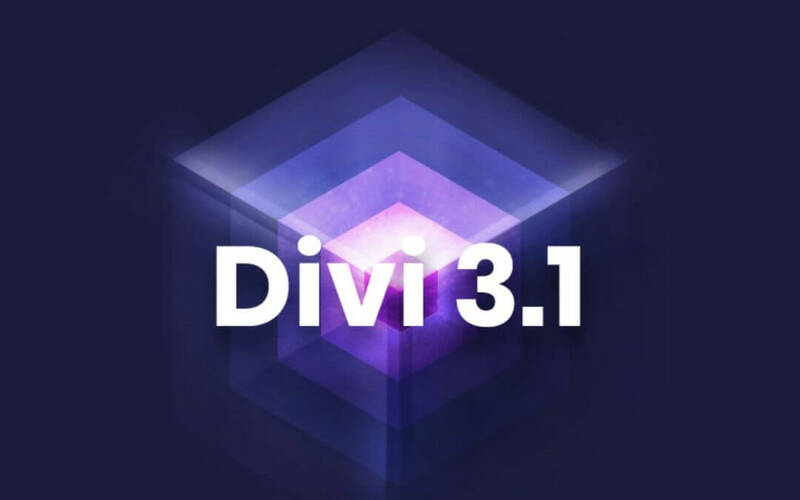 Yes, Divi 3.1 has finally arrived! After a long long period of smart and minor updates from the Divi 3.0 release (in september 2016) that lead us till the latter one, the Divi 3. 0. 100, Divi 3.1 has been released two weeks ago. Just the time for us to deep the new documentation on how to develop own Custom Modules or Divi Extensions and, above all, how to make these ones available also in the Divi Builder and here we are with this new Series. First of all let’s start from the new Developer Documentation page. You will find it here, just beside the other documentation pages on Divi, Divi Builder, Bloom etc. This page is very useful and we suggest you, if you have not already done so, to give it a look. However, along this Series we advice you, when needed, to consult specific Documentation sections to better follow and understand what we are going to do. Let’s give it a look! In the first section of the Developers Documentation page we find 3 Divi boxes each linking to a specific page: the Divi Module In-Depth tutorials page, the Code Reference one and the Hooks page. 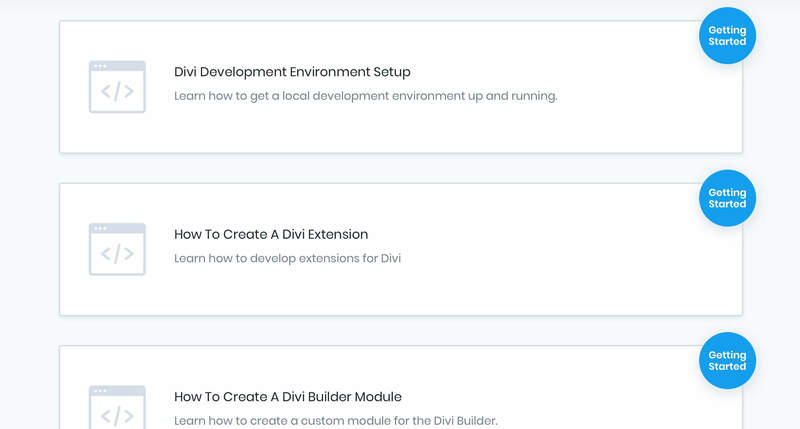 In the Divi Module page we have for now 7 sub sections covering from tutorials to create a Divi Builder module, defining its settings till the configuration of the Advanced Field Types in the module settings and a tutorial to make existing custom modules compatible with the latest version of Divi Builder. Follows then a Code Reference page in which Nick Roach and his Elegant team had listed the JS APIs we will use for creating our custom modules (we will deepen some of these one in our next Series posts). Finally a Doc page on the Hooks available in the Divi template files. Right below the 3 sections we’ve just talked about we can randomly browse all tutorials, but take care for the moment at the very top 3 ‘Getting Started’ ones. We have already seen one of them, that one focused on how to create a Divi Builder Module, on which we will return in the third Series post. The first one, instead, explain us all the basic steps to do in order to set up a local development environment, a secure place in which we can develop our Divi Extensions and Modules. Finally, the third ‘Getting Started’ tutorial will cover how you can create in few steps and just in few minutes your custom Divi Extension thanks to the ‘Create Divi Extension’ command line utility. Hope you will follow us along this Series. See you next post on setting up our local environment and putting the basics for developing our custom Divi Modules.